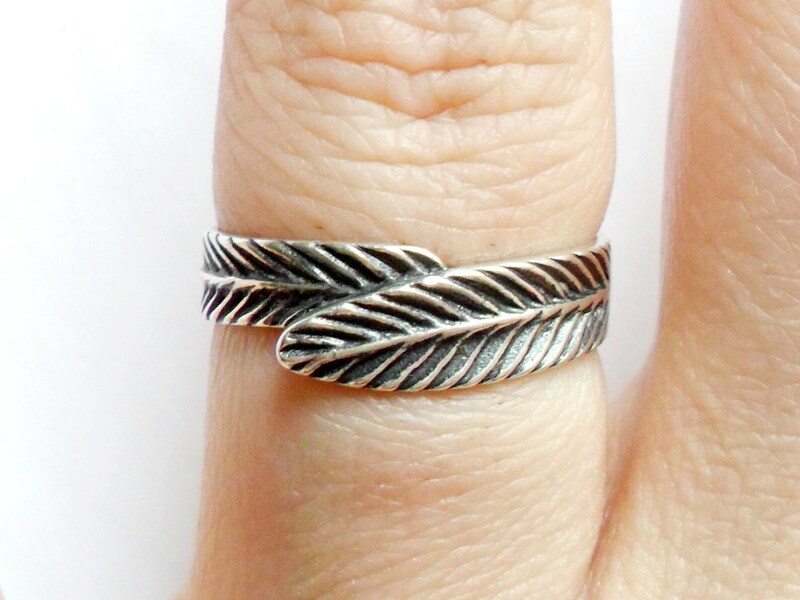 Beautiful sterling silver feather ring. This ring has a low profile and is very comfortable. Size 7.5. There is some light wear to the band, but it is still a wonderful ring. Marked "925" with a small hallmark.